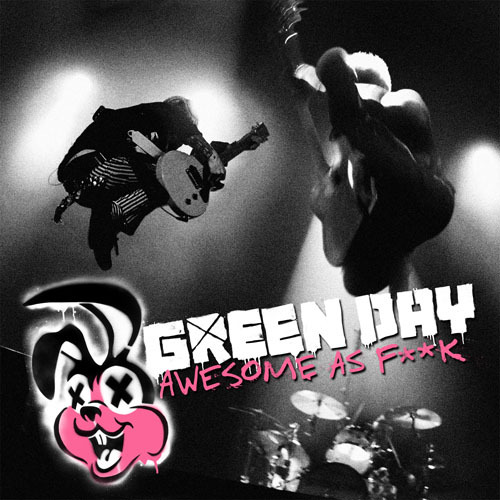 The simple review: this is a Green Day live album, released in 2011. Those of you who are sure from that description that you either really need, or really don’t need this should skip the rest of the review and proceed accordingly. For those sitting on the fence like me, it’s actually pretty decent. I’m much more of a fan of Green Day through 2000’s Warning than I am of their rock-opera phase of the last decade-or-so. Don’t get me wrong: I admire the band for finding something new to do with itself musically. I’m just not much of a fan of rock operas in general, let alone ones delivered by bands whose true gift is for three-minute nuke-pop. What do I know, though? Millions upon millions of record buyers disagree – and if they can actually find a narrative through-line in American Idiot that makes sense, god bless ‘em. At first glance, I was underwhelmed by half of the track list; while it’s entirely appropriate that there are a large proportion of songs from Idiot and 21st Century Breakdown on here, I’d be lying if I told you that I found that prospect exciting. Surprisingly, I enjoyed the newer stuff far more than I’d have expected. Unshackled from the Big Concepts to which they were written, the Idiot/Breakdown songs are allowed to breathe and succeed simply as fine loud pop in their own right. Turns out I like ‘em a whole lot more when I don’t feel like I have to concern myself with where they fit into some convoluted story. The old stuff is the old stuff: well performed and classic. I’ll forever stand behind my assertion that “When I Come Around” remains the greatest successful pop single to emerge from the whole stupid ‘90s punk revival. Truthfully, I expected nearly nothing from this and was pleasantly surprised; if that means that it’s probably time for me to go back and try listening to Idiot and Breakdown as songs rather than concepts, then so be it. If none of it is better than the 2:30-ish of the Rodeo Queens song, I wouldn’t be too hard on Green Day for that: most things could probably be improved by having Jesse Malin write and sing them, this review included. In summation: the title is pure f**king hyperbole, but the record's not half f**king bad at all. Layla, You've Got 'Em On Their Knees! THOR: The "worst music video ever made"? New York Dolls: "Dancing Backward in High Heels"
And now, the Obligatory Charlie Sheen Post! Drink Your Wine Like a T.K.O.